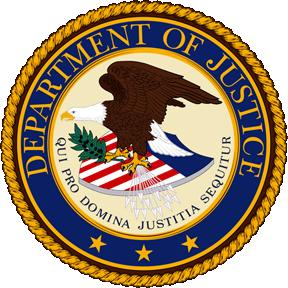 Three publishers – Hachette Book Group, HarperCollins and Simon & Schuster – agreed to settle the lawsuit, the DOJ said. The government’s complaint does not allege that all e-book prices, or even most e-book prices, increased after Apple entered the market, the company said in the filing before the U.S. District Court for the Southern District of New York. Apple had in fact no interest in seeing price increases, it said. The government’s complaint against Apple is fundamentally “flawed as a matter of fact and law,” Apple said. The company said it has not conspired with anyone, was not aware of any alleged conspiracy by others, and never fixed prices. The Department of Justice’s lawsuit against Apple and five of America’s biggest publishers begins like a John Grisham novel, talking of Apple’s “aikido move”, violations of anti-trust law, and tens of millions of dollars having been overspent on e-books. But in reality the document is a 49-page slasher-novel that leaves no-one in the industry unscathed. It is a remarkable document that details dinners in private rooms for chief executives, clandestine phone-conversations, not-so private email exchanges, and gestures of solidarity among the world’s biggest publishers in the face of Amazon. All bizarrely caught on camera, and now laid-bare for anyone to read about. The Department of Justice’s confounding lawsuit against five of the Big Six publishing companies and Apple, Inc. for price-collusion has been widely regarded as a “out of the frying pan and into the fire” sort of move. The tragic lawsuit seemingly damages competition in benefit of the expansion of the leading market influence (Amazon) and thus undermines the supposed goal of the laws it seeks to uphold.